Can we help? You can contact the Children’s Department at 978-674-1529 or by e-mail at childrenref@lowelllibrary.org. For more information about events in the Children’s Department, check out our Facebook page or visit the library’s calendar. S.T.E.A.M. afternoon storytime for Preschoolers age 3 years and older. 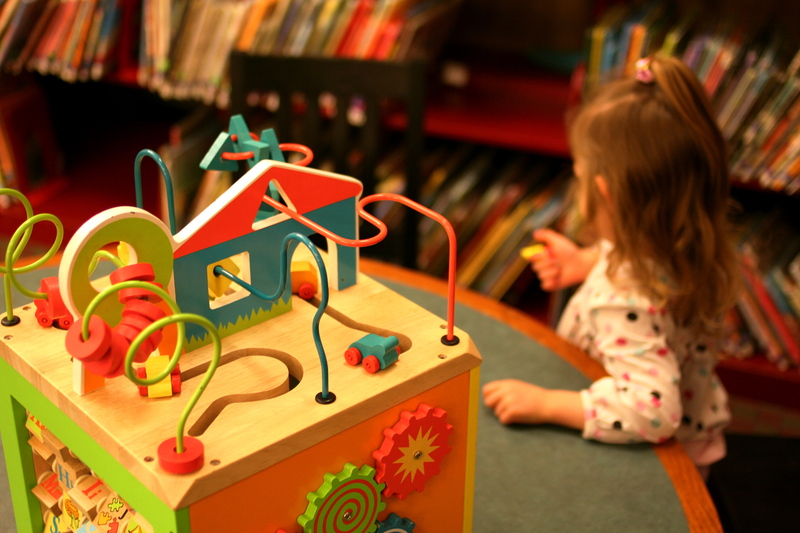 Join us for a storytime and interactive stations to explore STEAM learning and play! Sign up is required. Register once to attend all these storytimes – September 13, October 11, November 8, and December 20! Looking for book recommendations? Patrons have made selections about really great reads! Check out our recommended reading page here. Did you know that the Children’s Department has a collection of kids books in languages other than English? We also just recently added a small collection of children’s books in Arabic to this section. Thanks to the generosity of the Pollard Memorial Library Foundation and a grant from the Digital Federal Credit Union, the Children’s Department now has two AWE early stations. These learning stations are computers that are loaded with over 40 educational activities geared for toddlers, preschoolers, kindergarteners and early elementary school children. To learn more about the AWE stations stop by the Children’s Department. We can’t wait to see you and your children! Does your child want to learn a new language? Or is your child learning English as a Second Language? MUZZY Online is an award-winning language program for children that provides a comprehensive, interactive, and fun way to learn a second language. It features lessons, videos, interactive games and activities, and more! The languages currently available are Spanish, English, French, German, Portuguese, Russian, Chinese, and Italian. MUZZY Online can be found on the Electronic Resources Page under Youth Oriented Study or click here to check out this amazing resource.